Iran’s Revolutionary Guard has announced that government forces had “broken down the chain of unrest” which they say was fomented by foreign enemies of the Islamic Republic. 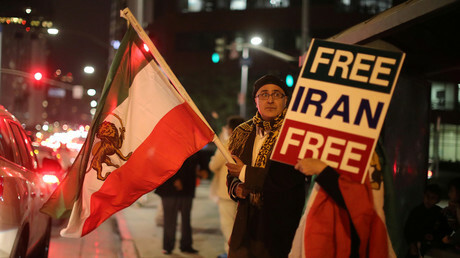 “Iran’s revolutionary people along with tens of thousands of Basij forces, police and the Intelligence Ministry have broken down the chain [of unrest] created... by the United States, Britain, the Zionist regime [Israel], Saudi Arabia, the hypocrites [Mujahideen] and monarchists,” a statement from the group’s Sepahnews website said on Sunday. Mohammad Ali Jafari, commander of the Revolutionary Guards, made a similar claim earlier this week. “Today we can announce the end of the sedition,” Jafari said on Wednesday. 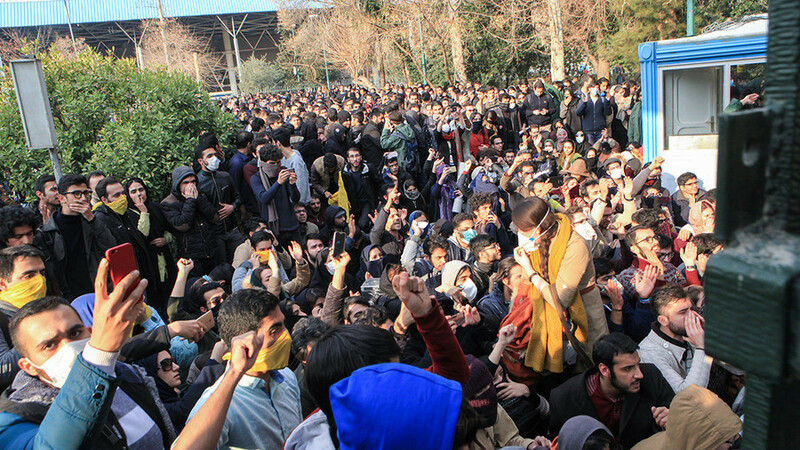 The organizers of the unrest have been identified and arrested, while most of the detained protesters “duped” into joining the demonstrations have been freed on bail, according to security officials cited by Press TV. The Iranian Parliament met in a closed-door meeting on Sunday to discuss the country’s security situation with the ministers of interior and intelligence, Iran’s police chief, and the deputy commander of the Revolutionary Guard, state TV reported. 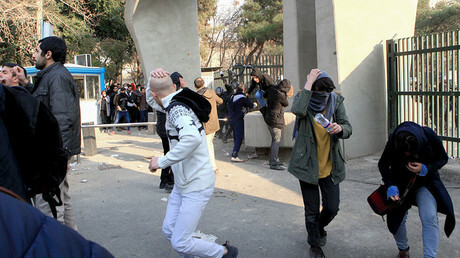 Protests over economic problems broke out in Iran's second-largest city of Mashhad on December 28 and quickly spread to other cities, including Tehran. More than 20 people have died in the unrest, according to media reports, with rioters attacking government buildings and police stations in some areas. The size and scope of the demonstrations varied by city. The Revolutionary Guard claims that the number of "trouble-makers" did not exceed 15,000 people nationwide. Thousands of government supporters held rallies across Iran for the fifth straight day on Saturday. Tehran has said that people have the right to demonstrate but must do so peacefully – while pointing the finger at foreign powers for trying to stir up trouble. The country’s supreme leader, Ayatollah Ali Khamenei, said that enemies of Iran are using money, weapons, and political warfare in an attempt to destabilize Iran. Israeli Prime Minister Benjamin Netanyahu and US President Donald Trump have both made public statements supporting the Iranian demonstrators. “When this regime [the Iranian government] finally falls, and one day it will, Iranians and Israelis will be great friends once again,” Netanyahu said in a video statement Monday afternoon.